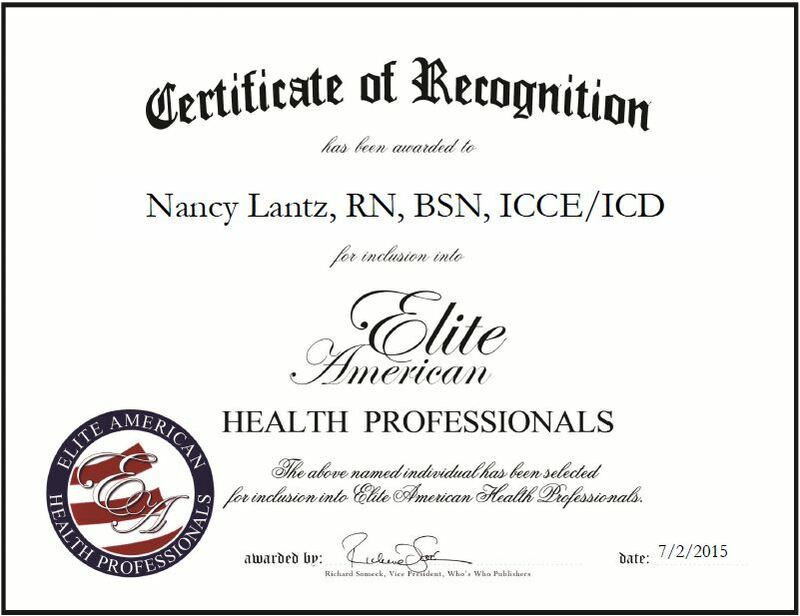 Knoxville, TN, July 2, 2015, Nancy Lantz, RN, BSN, ICCE/ICD, President of International Childbirth Education Association, has been recognized by Elite American Health Professionals for dedication, achievement and leadership in maternity care. Ms. Lantz has been in the health care field for more than three decades. She was exposed to the maternity specialty while she was a nurse at a children’s hospital. She continued her nursing profession in high-risk labor and delivery at the University of Tennessee Medical Center. Today, Ms. Lantz is recognized for her expertise in prenatal and postpartum doula care. She is also experienced in labor, delivery, and newborn care, and has been a clinical instructor for nursing students. As the president of the company, Ms. Lantz is responsible for planning strategies for childbirth educations services. It is her goal to provide clients with the highest quality services and provide the most up-to-date information on birthing practices and procedures. A certified doula and childbirth educator through the International Childbirth Education Association, she attributes her success to working with people with similar mindsets. Moving forward, Ms. Lantz plans to continue her success and growth as the president of ICEA. This entry was posted in Nursing and tagged childbirth education, delivery, labor, maternity care, newborn care, prenatal and postpartum doula care. Bookmark the permalink.